Immerse yourself in one of the world’s most multicultural cities as a distinguished guest at Park Hyatt Toronto. 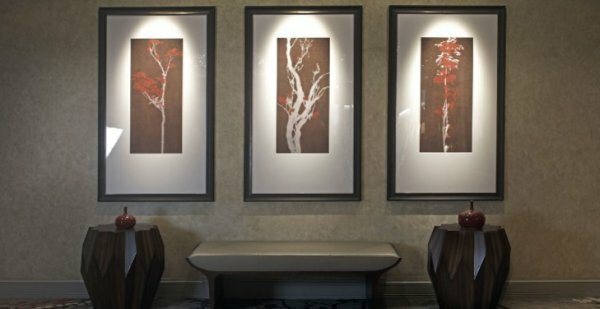 Perfectly situated in the heart of the fashionable Yorkville area, our hotel in Toronto, Canada represents an elite level of luxury marked by subtle contemporary influence. Encircled by high-end retail stores and five-star restaurants, our hotel is within walking distance to some of downtown’s most renowned sites, including the Royal Ontario Museum. 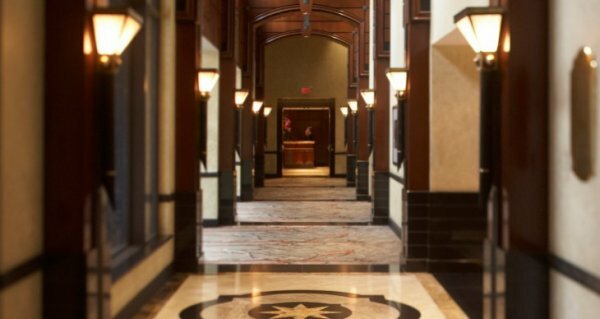 Enjoy a host of services at our Yorkville hotel – including complimentary car service and high-speed Internet access. Escape with a rejuvenating treatment at our full-service Stillwater Spa and salon. Explore the neighborhood with our bicycle valet program. Dining is a fine art at our Toronto hotel. Savor bistro-style cuisine in Annona and experience our food philosophy: Food. Thoughtfully Sourced. Carefully Served. Enjoy stunning views and premium beverages at The Roof Lounge. Recognized among the best spas in Toronto, Stillwater Spa at Park Hyatt Toronto Yorkville is an indulgent escape from urban demands. Our full-service downtown Toronto spa features 17 treatment rooms, a couple’s massage room, aqua therapy room, steam room, sauna and whirlpool, and tea lounge for relaxing before and after Stillwater Spa treatments. A fitness center equipped with the latest equipment is available to spa guests. Stillwater Spa also offers an extensive menu of massage therapies, body treatments and salon services to customize your Toronto spa experience. Stillwater Spa uses innovative, trendsetting products to achieve well being and bestow tranquility. Enhance your Park Hyatt experience with our state-of-the-art StayFit™ gym. With all the latest exercise equipment, our Toronto fitness center is welcoming and pristine. We’ve even outfitted all our cardio machines with personal video and audio services to keep you motivated during your workout. For those who wish to exercise in the privacy of their guestroom, we offer YogaAwayTM, an innovative system that allows you to order a complete yoga workout from your in-room entertainment unit. A variety of programs are available, including fitness, stress reduction and mental focus. If you’ve forgotten some of your workout gear, our Fitness Concierge can help you obtain the items. In addition, our Fitness Concierge will provide maps of local running and walking paths near our Yorkville hotel. Facilities are complimentary to guests over 18 years old. Hours: 5:30a.m. – 10:00p.m. Must be over the age of 18 to enter facilities. Park Hyatt Toronto invites guests to explore the beauty of Toronto using one of the hotel’s complimentary bicycles. The Bicycle Valet program offers use of the bikes in four-hour increments, as well as bottled water, helmets and a map of great bike trails throughout the city. The Trek Cruiser bikes are available with a refundable deposit and guests will be required to complete a waiver before checking one out. Guests will also be able to request a gourmet picnic lunch to take with them on their urban exploration. Martin Goodman Trail: This 19 kilometre stretch of the Waterfront Trail stretches from the Balmy Beach Club to the Southwest beaches of High Park. Part of the 350 kilometres of Lake Ontario Waterfront, this trail provides a safe and uninterrupted path for cyclists. A highlight along the way is Cherry Beach, where cyclists can put their bikes aside and go swimming, parasailing, hiking or simply enjoy a picnic on the beach. Toronto Islands: The islands offer several paths, accessible by ferry. Highlights include Hanlan Point, featuring the haunted lighthouse at Gibraltar Point, Ward Island and Center Island. Bikers can take advantage of the countless trails throughout the islands, but also the many things to do upon arrival. Enjoy the Center Island Amusement Park, take a stroll on the pier or lay out on one of the many beaches. Don Valley River Trails: The Don Valley stretches 32 kilometres from the Oak Ridges Moraine in the North and south to Lake Ontario. This path winds its way through parks and conservation areas, providing an interesting glimpse into Toronto’s nature and history. There are several trails that branch off from the main paved trail, providing city street access. These river trails are perfect for the leisure biker or the more advanced trekker. Without a doubt, Dentonia Park Golf Course is one of the finest and most challenging facilities in Ontario. It is perfect for beginners just learning the game or advanced players sharpening their short shots. With many great programs now available, a visit to Dentonia Park Golf Course makes an inexpensive and fun outing for all. Lush vegetation and a rolling landscape present an exciting natural setting for Don Valley Golf Course. Its classic Howard Watson design has a traditional variety of holes and a legendary reputation for its exciting natural setting. Hallelujah Corner includes the signature par 5 12th hole followed by an outstanding par 3 challenge, providing breathtaking scenery and spectacular golf. Humber Valley’s par 70 course challenges golfers with its combination of links and valley land holes, appealing to all ages and skill levels. Accuracy is crucial – especially on the final three holes. Scarlett Woods Golf Course is an executive-length par 62 course suitable for beginners and experts alike. Save your best shot for our signature 17th hole – the elevated tee of this par 3 hole overlooks a pond, 140 yards away from a well-bunkered green. When you’re short on time but not willing to sacrifice a quality experience, Scarlett Woods offers an easy escape from a busy day. Nestled alongside the Highland Creek is northeast Toronto’s premier golf course. When the wind blows, Tam O’Shanter’s links, holes and water hazards will test every golfer’s patience and concentration. 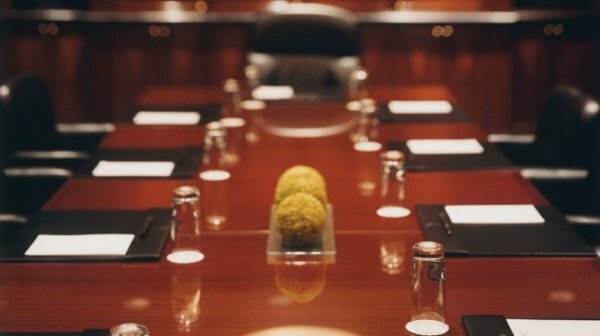 Ensure success with an exceptional setting for your meeting at Park Hyatt Toronto Yorkville. 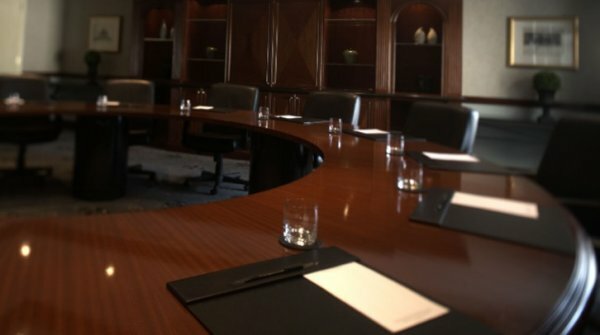 Our Toronto meeting facilities feature state-of-the-art business amenities and versatile function space to ensure that your important meetings and events are productive and professional. 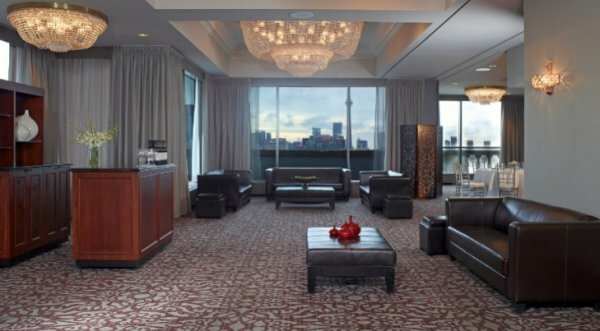 Our well-appointed Toronto convention facilities offer a total of 17,000 square feet of Toronto meeting space, including the stunning Roof Salon and VIP boardrooms. Count on in-house experts Swank Audio Visuals and our multilingual staff to service your every request. 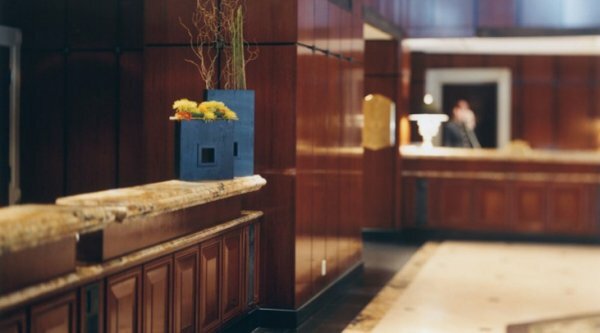 Take advantage of our fully-equipped 24-hour business center, as well as our myriad of complimentary amenities, including high-speed Internet, shoe shine, car service and 24-hour Concierge. Savour our Food. Thoughtfully Sourced. Carefully Served., including our on-site Kosher catering. Relax post-meeting at Ontario’s award-winning spa, Stillwater. Park Hyatt Toronto Yorkville sets the stage for your elegant wedding. As a full-service Toronto wedding destination, Park Hyatt Toronto Yorkville provides unparalleled service, amenities and facilities for your special day. Our team of professional wedding specialists works tirelessly to ensure that every detail of “I do” is seamless to perfection. While our team implements the final touches for your wedding, you and your guests can enjoy all that Park Hyatt Toronto Yorkville has to offer, including our full-service Stillwater spa, fitness center, delectable dining, and easy access to Toronto attractions and activities in our posh Yorkville neighbourhood. Park Hyatt Toronto Yorkville offers a variety of elegant spaces, including the Roof Salon and timeless Queen’s Park Ballroom, perfect for intimate and grand wedding receptions. Indulge your guests with a feast fit for kings and queens, created by our catering team expressly for your wedding. Park Hyatt Toronto Yorkville features a Kosher kitchen for specialized catering needs. Choose Park Hyatt Toronto Yorkville for your wedding of a lifetime. 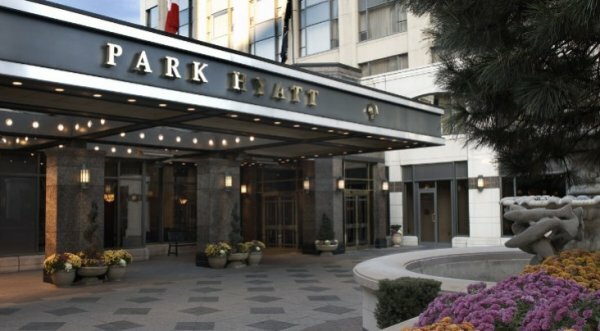 Enjoy free honeymoon nights at any Hyatt Hotels & Resorts property around the world when you host your wedding in Toronto at Park Hyatt Toronto Yorkville by December 31, 2014. Your wedding will earn you valuable Hyatt Gold Passport® bonus points redeemable for free nights with no blackout dates at any Hyatt Hotel & Resort worldwide. Relax amid the sophisticated ambiance of Park Hyatt Toronto Yorkville. Each of our luxury Toronto suites and hotel rooms is appointed with the finest furnishings and deluxe amenities for a world-class experience synonymous with Park Hyatt. We offer a variety of hotel rooms and suites to meet your travel and personal needs, including hypo-allergenic rooms for allergy sufferers. Park Hyatt Toronto Yorkville is proud to offer Respire by Hyatt hypo-allergenic hotel rooms for our allergy-sensitive guests. These innovative Toronto hotel rooms undergo a specialized 6-step cleaning and disinfecting process to minimize the presence of irritants and to reduce airborne particles. The intensive process includes treating all fabrics and surfaces in the room, as well as installing a deluxe air purification system. PURE Solutions NA maintains Respire by Hyatt hotel rooms on an ongoing basis. Application of PURE Shield and PURE Clean to minimize the presence of allergens on surfaces and carpet and upholstery in the room. One-time shock treatment to minimize irritants. Complete disinfection of air handling unit and installation of removable tea tree oil cartridge to maintain optimum air quality. Installation of hypo-allergenic mattress and pillow encasings. PURE recertification every six months. 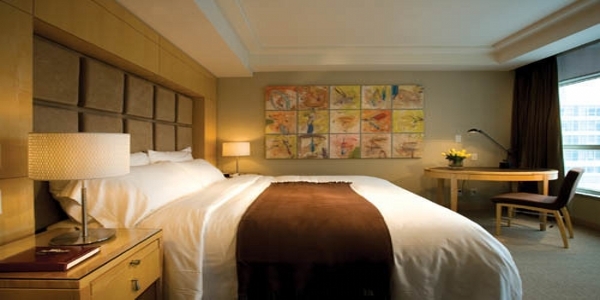 Discover luxurious comfort in our downtown Toronto accommodations. Furnished with one King bed with a soft feather duvet atop a plush pillow top mattress, these rooms offer 400 to 500 square feet of inviting interior space. Enjoy a luxurious marble bath with Portico amenities, then lounge in a plush terry robe. Our Toronto, Ontario accommodations offer many thoughtful amenities, such as 24 hour Concierge, personalized wake up calls upon request and your choice of 300 daily newspapers to read with your coffee. 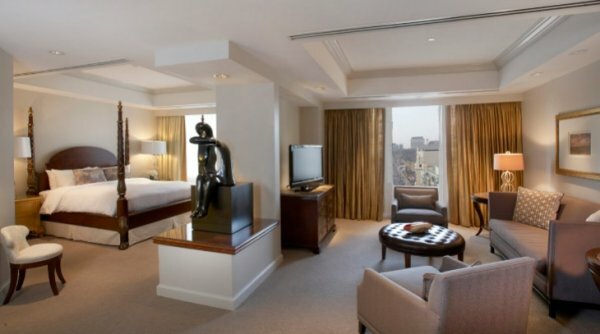 Treat yourself to our elegant downtown Toronto accommodations. These welcoming 350 to 400 square foot guest rooms feature well-appointed interiors, with two Double beds furnished with ultra-soft feather duvet bedding (non-feather available upon request). Keep in touch at your oversize work area, while utilizing complimentary Wi-Fi Internet access. Delicious in-room dining and a delightful minibar selection provide convenient options when you’re hungry. Allow our 24 hour Concierge to see to your every need. The gracious service and personalized approach to hospitality provided at our restful Toronto, Ontario accommodations, ensure a truly unforgettable stay. 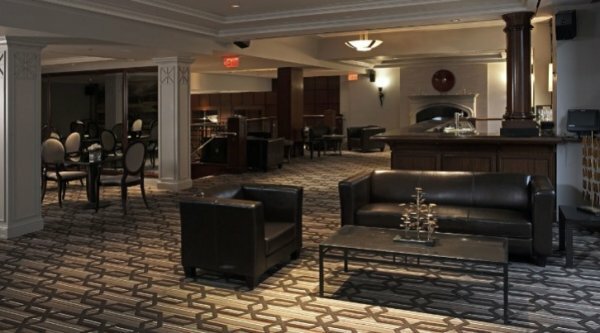 Discover elegant downtown Toronto accommodations in our luxury hotel. These welcoming 350 to 400 square foot guest rooms feature well-appointed interiors, with a sumptuous King bed furnished with ultra-soft feather duvet bedding (non-feather available upon request). 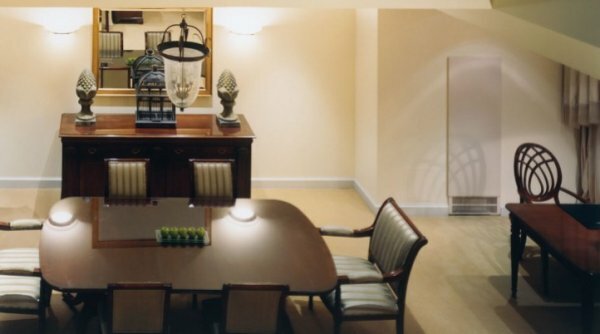 Keep in touch at your oversize work area, while utilizing complimentary Wi-Fi Internet access. Delicious in-room dining and a delightful minibar selection provide convenient options when you’re hungry. Allow our 24 hour Concierge to see to your every need. The gracious service and personalized approach to hospitality provided at our restful Toronto, Ontario accommodations, ensure a truly unforgettable stay. Gaze out at fashionable Yorkville from our luxurious downtown Toronto accommodations. Furnished with two Double beds with a soft feather duvet atop plush pillow top mattresses, these rooms offer 400 to 500 square feet of inviting interior space. Enjoy a luxurious marble bath with Portico amenities, then lounge in a plush terry robe. Our Toronto, Ontario accommodations offer many thoughtful amenities, such as 24 hour Concierge, personalized wake up calls upon request and your choice of 300 daily newspapers to read with your coffee. Step into luxury within these elegant downtown Toronto accommodations. The Park Suite boasts an adjacent living room and sitting area featuring 500 to 600 square feet of interior space. 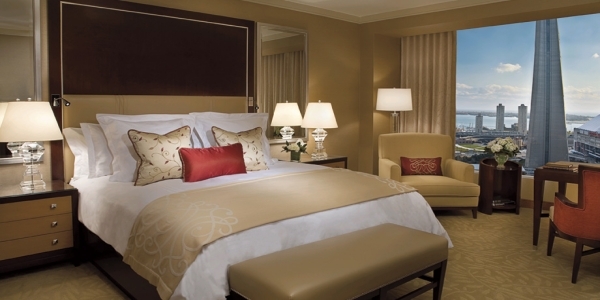 Decorated with taupe and gold accents or taupe with black accents, this suite accommodates up to two overnight guests. Sleep in divine comfort on one King bed with sumptuous feather duvet bedding (non-feather is available upon request). Read your choice of 300 daily newspapers as you sip your morning coffee. Throw open the windows to invite the cool breezes in and call upon our 24 hour Concierge or in-room dining staff. Don a plush terry robe after showering in the deluxe marble bathroom and adjust your individual climate control to your comfort level, ensuring a peaceful stay within our Toronto, Ontario accommodations. 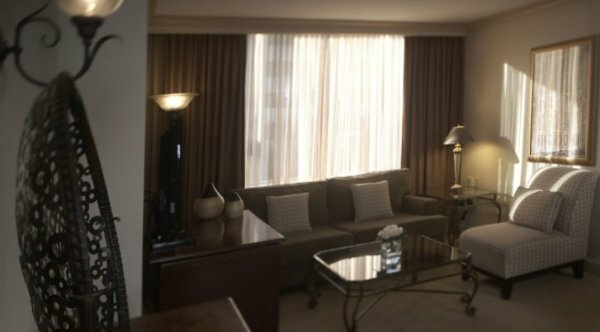 Select this exquisite suite from our vast array of downtown Toronto accommodations, offering 850 to 900 square feet of luxurious interior space for discriminating guests. Distinguished features include the privacy door, separate entrances, and connecting luxury rooms with two Double beds, featuring soft feather duvet bedding (non-feather available upon request). Sip a cocktail from the minibar or enjoy delicious in-room dining. Lounge in plush terry robes after luxuriating in the deluxe marble bathroom. Indulge in the personalized service by allow our 24 hour Concierge to see to your every need. Reward yourself with these luxury Toronto, Ontario accommodations, ensuring relaxation in a restful environment. Elegance abounds in our premium downtown Toronto accommodations. This spacious layout offers between 800 to 850 square feet of inviting interior space consisting of a luxurious bedroom featuring one King bed, living room, dining room and two full-service bathrooms. 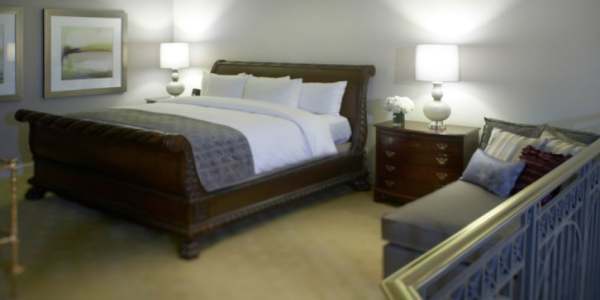 This gracious suite accommodates up to three overnight guests and an elegantly appointed guest room with two beds is also available as a connecting facility. Enjoy an intimate meal prepared by our talented in-room dining staff. Sip a drink from the minibar, while relaxing in our Toronto, Ontario accommodations. All the thoughtful features and amenities this deluxe suite has to offer provide an incomparable stay. These restful downtown Toronto accommodations boast approximately 705 square feet of inviting interior space, elegantly decorated in warm taupe colors with double doors that herald your entrance into bedroom and bathroom. Located on the fourth floor of our South Tower, this suite provides a lovely view of the Royal Ontario Museum and the liveliness of Bloor Street. Repose in comfort on the luxurious King bed featuring soft feather duvet bedding (non-feather available upon request). Indulge in the personalized service by allow our 24 hour Concierge to see to your every need. Enjoy our sumptuous in-room dining or relax with a cocktail from the minibar. Sip your morning coffee as you read your choice of over 300 daily newspapers. All the thoughtful features and amenities in these Toronto, Ontario accommodations provide an incomparable stay. 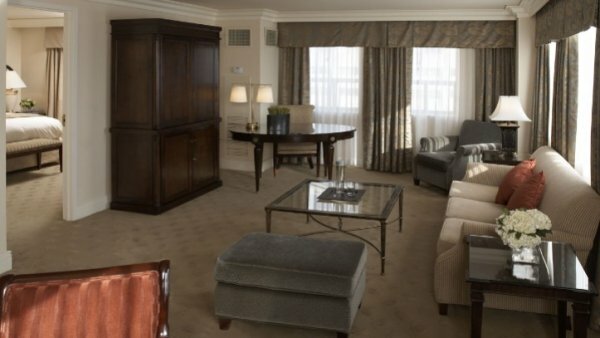 Enjoy exquisite comfort in our luxurious downtown Toronto accommodations located on the 12th floor of the South Tower. Decorated in warm taupe with gold accents, this 750 square foot suite offers a wonderful view of Toronto’s Skyline. Repose in spacious comfort with a luxurious King bed with soft feather duvet bedding (non-feather available upon request). 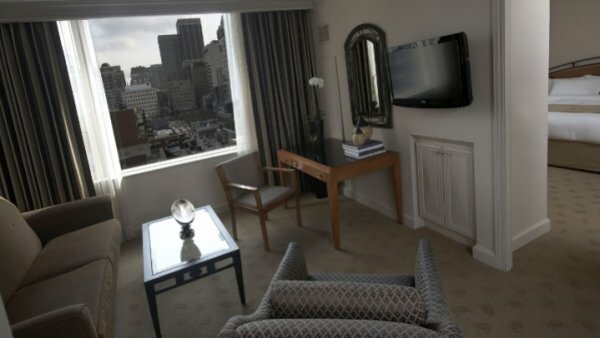 The Director Suite accommodates two overnight guests and offers connecting facilities to a Deluxe King and Deluxe Double guest rooms. Take pleasure in the deluxe amenities including a 24 hour Concierge, marble bath, plush, terry robe and iHome stereo with iPod® docking station. Sip a cocktail from the minibar or partake in delicious in-room dining. Read your choice of over 300 daily newspapers over your morning coffee. 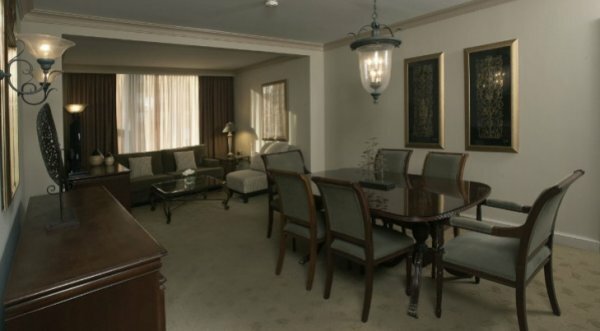 Our Toronto, Ontario accommodations provide a truly unique and comfortable stay. Make a triumphant entrance to one of the most luxurious suites in the city, providing truly exceptional downtown Toronto accommodations. Boasting approximately 2,500 square feet of opulent living space, this extraordinary suite reigns supremely on the 15th floor of our North Tower, offering three exquisite views: south overlooking Toronto’s skyline, east overlooking the Yorkville area and north overlooking Avenue Road. The front foyer affords a spectacular view of Yorkville and hosts a lovely round marble table with an adjacent powder room. Entertain in a bright, spacious living room featuring large armchairs and sofa. The dining room boasts an Entertainment Centre featuring a DVD/CD stereo system, a striking wood-carved dining table for eight people and a wet bar with stools. The bedroom area offers a large walk-in closet, a comfortable sitting area; an elegant wood-carved four poster King bed with downy soft feather duvet bedding (non-feather available upon request) and a substantial marble bathroom. Enjoy a luxuriously oversized bathtub with Jacuzzi jets and a two-person shower. Feel content that all your needs will be met within this elite choice in Toronto, Ontario accommodations. Lofty expectations are rewarded with these downtown Toronto accommodations. Located on the 15th floor of our North Tower, the two Loft-style suites, Maple Leaf and Trillium, are approximately 1,500 square feet each. Enter the elegant marble foyer on the main floor to discover a spacious kitchenette, powder room, and living and dining room areas which can accommodate six to eight persons. Enjoy the state-of-the-art DVD/CD stereo system in the living area. The elegantly-appointed second floor boasts a beautiful wood-carved King bed adorned with feather duvet bedding (non-feather available upon request) overlooking the suite. Luxuriate in the oversized marble bathroom with its double sink vanity, soaker tub and adjacent glass shower and personalized amenities. Sit at your spacious work desk and utilize the complimentary Wi-Fi Internet. Dine on delicious cuisine in the privacy of your own suite. Allow our 24 hour Concierge to see to your every need. 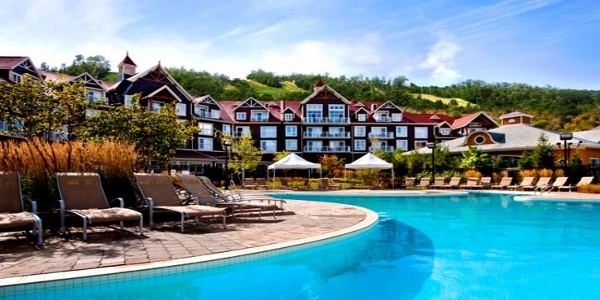 Our Toronto, Ontario accommodations provide a restful stay in a truly relaxing setting. Introducing a new smoking room experience. Discover an environment where the air can be continuously filtered to dramatically lessen odors commonly associated with smoking rooms. This room is perfect for those travelers who smoke but want to enjoy a fresh, clean air atmosphere. Dine in style at Park Hyatt Toronto Yorkville. 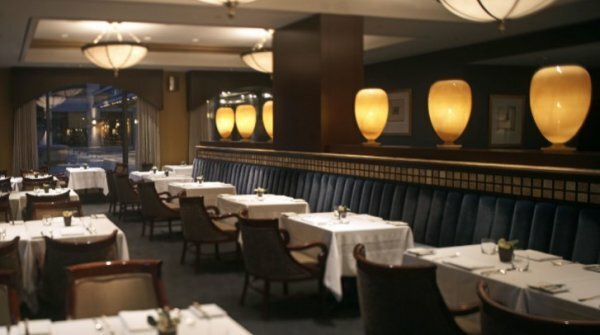 Enjoy gourmet, international cuisine at the award-winning Annona restaurant in Toronto. 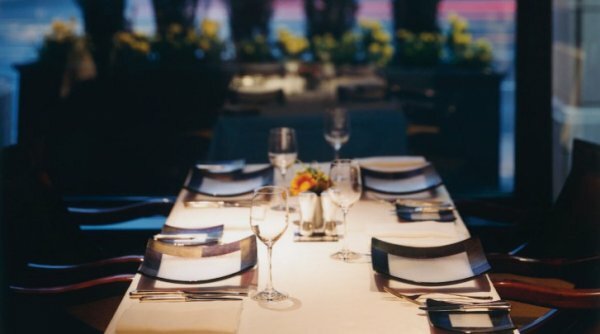 Named for the Roman goddess of harvest, this chic, 65-seat Toronto restaurant offers an intimate setting with rich gold and blue decor, plush banquettes, a secluded bar area, and stunning floor-to-ceiling windows overlooking the streets of fashionable Yorkville. With local, seasonal offerings and traditional favorites created by award-winning Executive Chef Joan Monfaredi, Annona is preferred by locals and celebrities alike. The restaurant offers new prix-fixe menus monthly, new full menus quarterly and is open seven days per week for breakfast, lunch, afternoon tea, dinner and offers Sunday brunch. The complete breakfast menu is a feast of melt-in-your-mouth pastries, delicious eggs, waffles, and other morning traditions. Brunch at Annona is a culinary journey of made-to-order omelets, eggs Benedict, French toast with maple syrup, apple wood smoked bacon, and fresh baked pastries and breads. Looking for the perfect table for a long-standing lunch date or meeting with prospective clients? 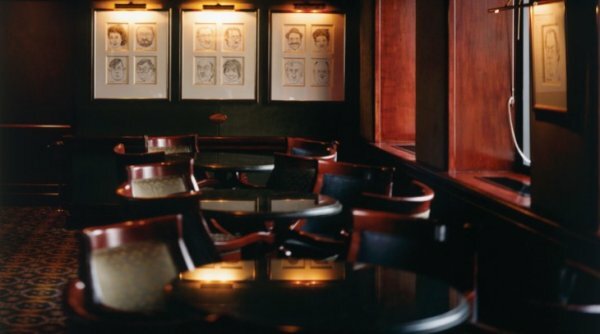 Annona is a distinguished Toronto restaurant for a midday meal. . Afternoon tea at Annona offers respite from a busy day. Enjoy fresh steeped tea and a selection of finger sandwiches and delectable sweets..Dinner is a complete event at our award-winning restaurant in Toronto where a tantalizing menu features the highest quality cuisine for a satisfying dining experience. Park Hyatt Toronto Yorkville also offers Kosher dining in an intimate setting. Renowned for leading-edge culinary creations for large events, both within the elegant Park Hyatt Toronto Yorkville ballrooms and in many prominent Toronto venues, the culinary experts at Park Hyatt Toronto Yorkville offer special catering choices for exquisite kosher dining. Monday through Friday: 6:30a.m. – 10:00p.m. Saturday and Sunday: 7:00a.m. – 10:00p.m. Expect incomparable service and impeccably prepared fare in the handsome setting of this special Yorkville Toronto restaurant. 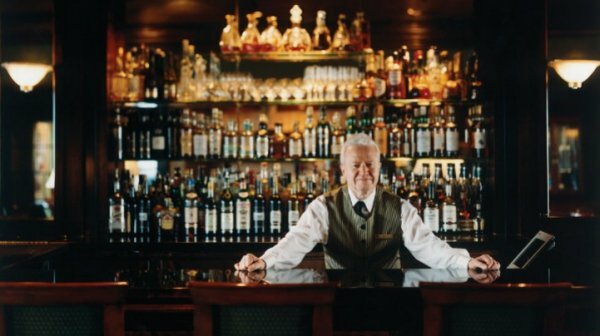 Morton’s – The Steakhouse has long been renowned for its prime cuts of aged American Angus beef. The attractive decor heightens the tableside service and extensive menu. Commence the evening with sweet Bluepoint Oysters on the Half Shell or Broiled Sea Scallops Wrapped in Bacon with an Apricot Chutney. Order one of the restaurant’s signature beef entrees like the Double Cut Filet Mignon with Sauce Bearnaise. Deviate from the norm and select a blackened swordfish. Accompany your Porterhouse steak or veal chops with a fresh Maine lobster. Order a decadent dessert, such as the Chocolate Velvet Cake or a souffle available in one of four flavors for your grand finale at our outstanding Yorkville restaurant. Monday through Sunday, 5:00p.m. – 11:00p.m. Known throughout the greater Toronto area for innovative culinary presentations for large events, Park Hyatt Toronto Yorkville now offers the same quality and expertise for specialty Kosher dining. We also offer prix fixe menus for small events for Toronto kosher dining. Be at the top – in more ways than one at our sophisticated Toronto bar. Located high atop fashionable Yorkville on our 18th floor, The Roof Lounge is favoured by locals and celebrities alike. Rich suede and leather decor complement the incredible panoramas of the city skyline rather than overpowering it. 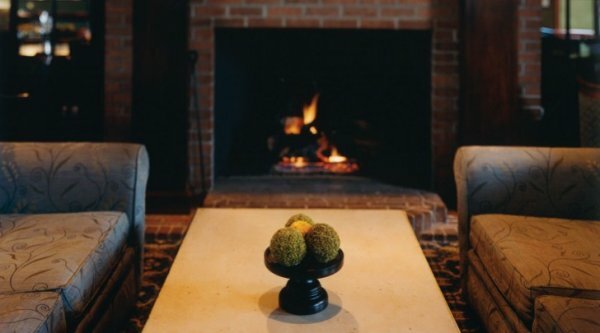 Order a vintage Pinot Noir and sit by the inviting fireplace on a crisp fall evening. Make your way out to the summer terrace with a refreshing Cosmopolitan and take in stunning views of this vibrant city. Enjoy a light retro-style lunch or stave off hunger with selections from the light bar menu. Meet friends for one of The Roof Lounge’s signature martinis and revel in engaging Toronto nightlife. Monday through Sunday, 12:00p.m. – 1:00a.m.